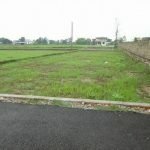 9 Kattha Land with one storey house is on sale at Manpakadi, Manmateriya-6, Rupandehi. Note: 9 कठठा ऐलानी (लाल पुर्जा बन्ने क्रममा भएको ) जग्गा तथा एक तल्ले पक्की घर ! The house has total five rooms and built in 7 dhur land. 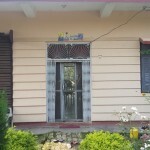 New house built in fifteen dhur land is on sale at Manigram, Rupandehi district. The house is suitable for residential and farming purposes. Further details are mentioned in table. Location Of House: Ward no. 5, Tilotama Muncipality, Manigram, Rupandehi District. 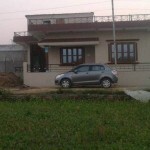 Distance from Main Road: 1 km East from Siddhartha Highway. 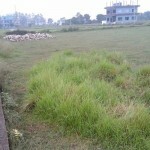 Nearby areas: 1 Km west from Manigram Bus stand.